Hearthstone: Concept art reveals first look at new card from 'The Witchwood' expansion – AiPT! Hearthstone concept artist Tooth Wu reveals art for a brand-new card from The Witchwood expansion. The character, whose design is reminiscent of epic Warlock minion card Gnomeferatu, is a gnome witch with haunting violet eyes holding a gnarled wooden staff in one hand and a foreboding, worm-riddled apple (straight out of Snow White and the Seven Dwarves) in the other. 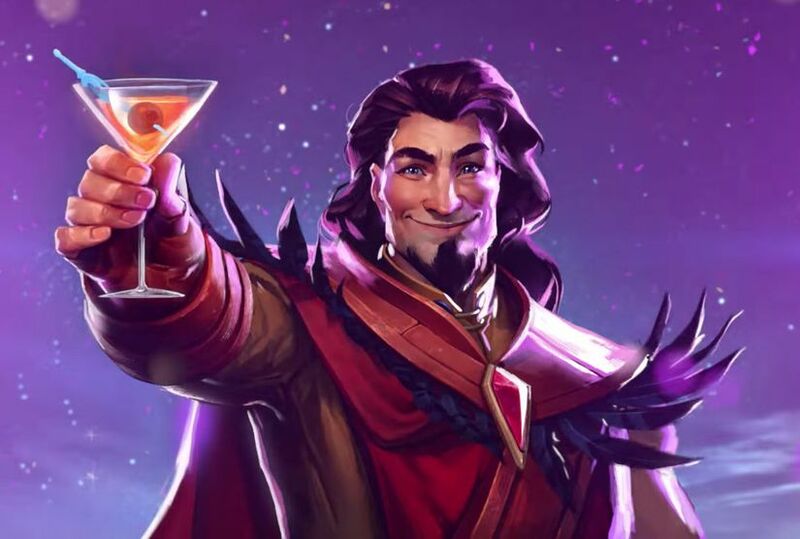 The character also sports a mantle with jagged-looking shoulder segments similar to legendary Hearthstone archmage Medivh, although it’s too early to tell whether the style-choice implies some further association or is purely coincidental. What type of card do you think this character will turn out to be in Hearthstone‘s The Witchwood expansion? Sound off in the comments. The Witchwood official card reveal takes place on March 26th on the Hearthstone Twitch.tv channel. More: Game designer Dean Ayala talks about The Witchwood’s Even & Odd decks. Or check out six new cards from the Witchwood expansion, including Genn Greymane, the king of Gilneas.